Journeying to the untouched island of Nuku Hiva will transport you back in time. In these faraway islands, you can visit enchanting waterfalls, get to know the culture of the Marquesans or be enthralled with the natural beauty of stunning black sand beaches. 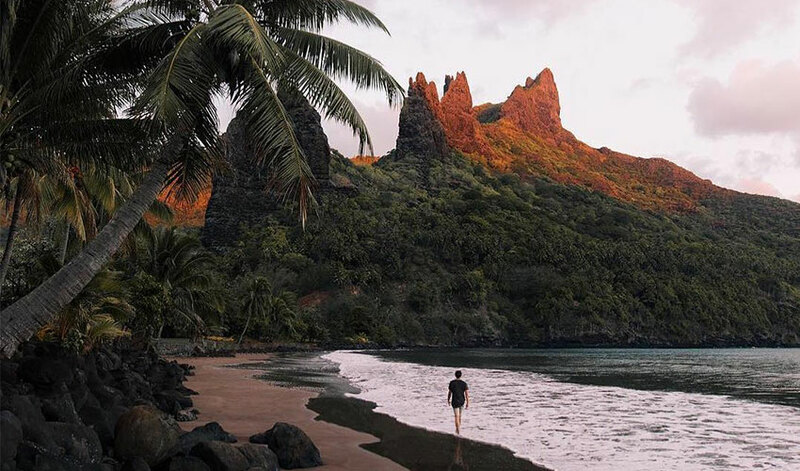 Many call Nuku Hiva the “Mysterious Island.” Perhaps it’s the magical landscape, the dreamy bays and quaint villages, the striking black sand or the stillness of time that descends on a visitor to this area of The Islands of Tahiti. Whatever it is, the island is sure to hold its spell over anyone. It undoubtedly impressed author Herman Melville, who wrote his famous novel “Typee, A Peep at Polynesian Life,” in 1846. With the book, he introduced the western world to Marquesan culture, complete with their crafts, tattoos and sculptures. Melville’s readers were entranced by the fascinating native culture and descriptions of landscape’s verdant valleys. Today, it has still retained many of its old traditions, and so coming here is like stepping back in time. 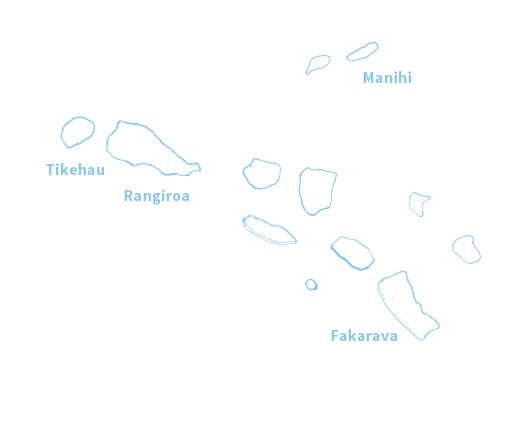 Nuku Hiva is the second largest island of French Polynesia, and so also serves as the economic center of the surrounding islands. Here, one feels that the French influence still contributes to romance and sophistication, while the local Polynesian culture thrives. 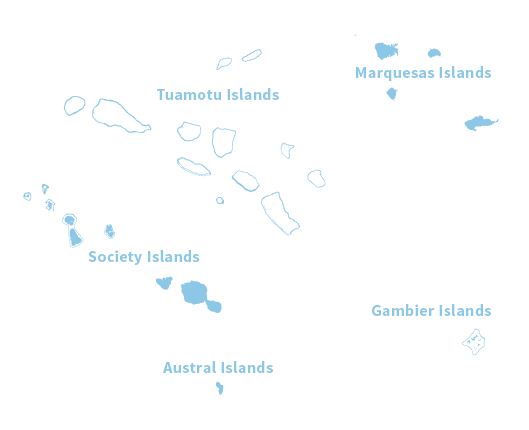 Much was painted and written about these islands, including works from Robert Louis Stevenson, Jack London and post-Impressionist painter Paul Gauguin. It is a place of reflection and discovery. 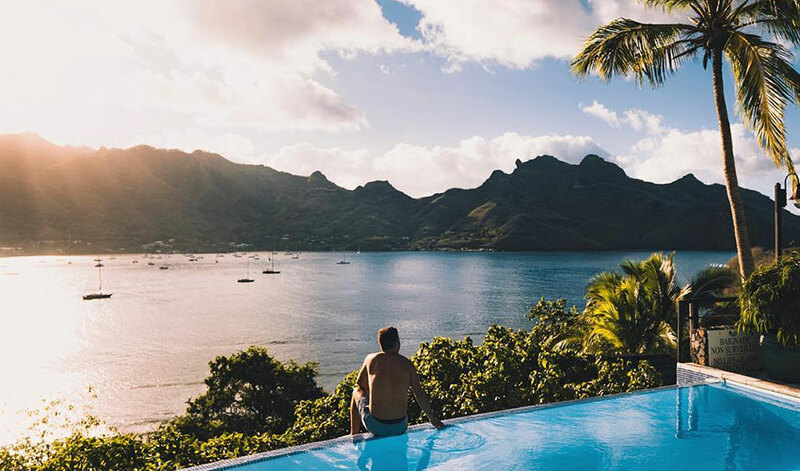 Whether you want to sail around the island’s coast or explore rich banyan forests or just kick back at an authentic resort with views of stunningly-beautiful bays, you will find yourself enchanted by the landscape of Nuku Hiva. Take the sailboat to see the islands from the ocean’s perspective, or try horseback riding through the lush valleys, where wild pigs and domesticated cattle graze peacefully alongside one another. Nuku Hiva is an excellent place to also find all types of Marquesan hand-crafted goods, from earrings carved of bone or adorned with feathers, to wooden tikis and bowls. 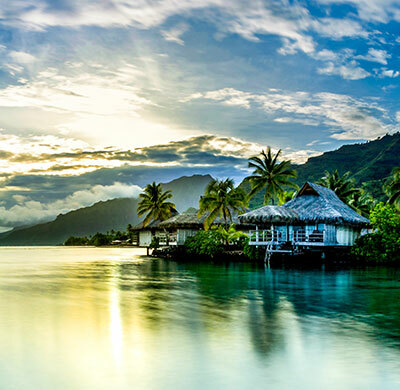 Stop at the village of Hatiheu for one of the most surreal visions in French Polynesia. Here you will find a centuries-old cathedral at the mouth of a massive bay, encircled by basaltic spires. At the front of the church sits stone tikis, a symbol of the harmonious blending of European and Polynesian traditions. Village life exists here much as it has for centuries, with villagers going about their daily business by horseback. 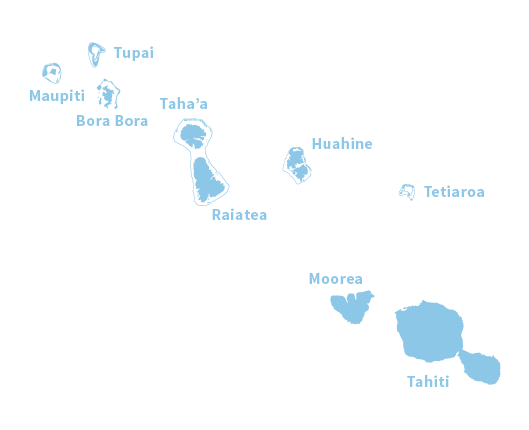 Ancient archaeological sites, with their mythic tiki (or ti’i) statues and stone temple ruins, teach visitors about Polynesian rituals and history. 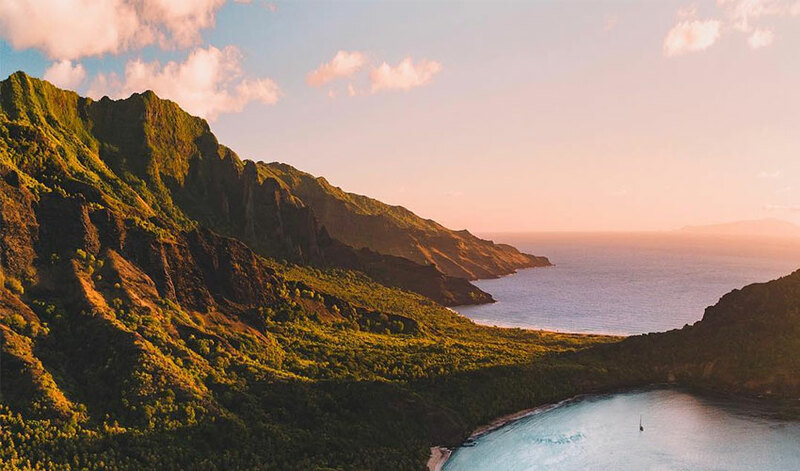 Don’t miss a trip to Hakaui, where you will find Vaipo, the tallest waterfall in French Polynesia, or the enchanting the Taipivai and Hatiheu valleys. 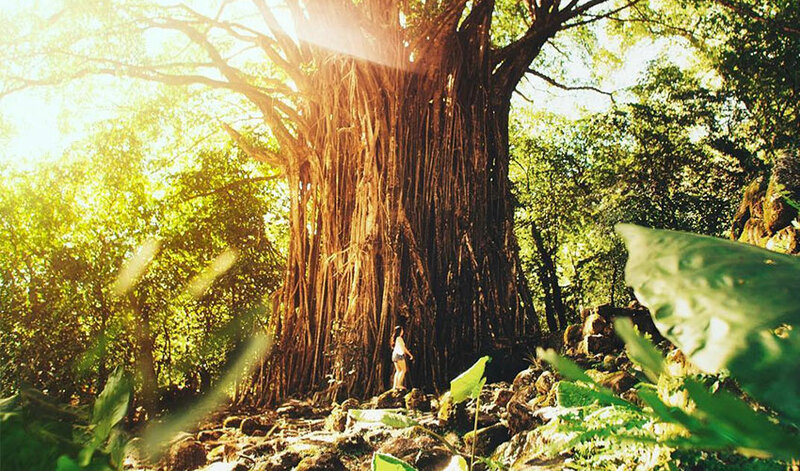 The forests are filled with ancient marae (temples) amid massive banyan trees. A 4×4 excursion by Jeep is the perfect way to explore the majestic scenery. You might also enjoy checking out the Cathedral of Notre Dame of the Marquesas Islands in Taiohae. 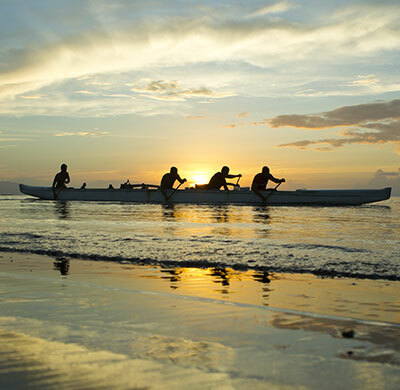 Come in the evening and enjoy a relaxing sunset at Anaho Bay, treasured for its pure white sand beach. 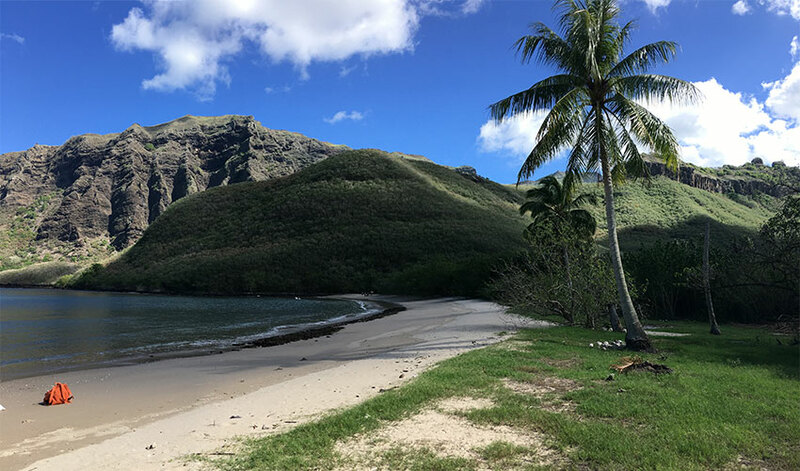 Nuku Hiva island sweeps visitors away to a paradise at the ends of the earth. Many people – just like the famous travelers and explorers before them – may never want to leave. 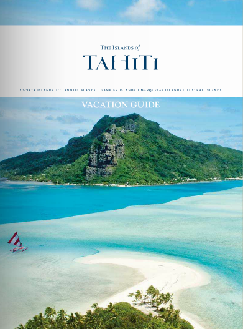 Plan your trip to The Islands of Tahiti today with a Tahiti vacation specialist, you won’t regret it.